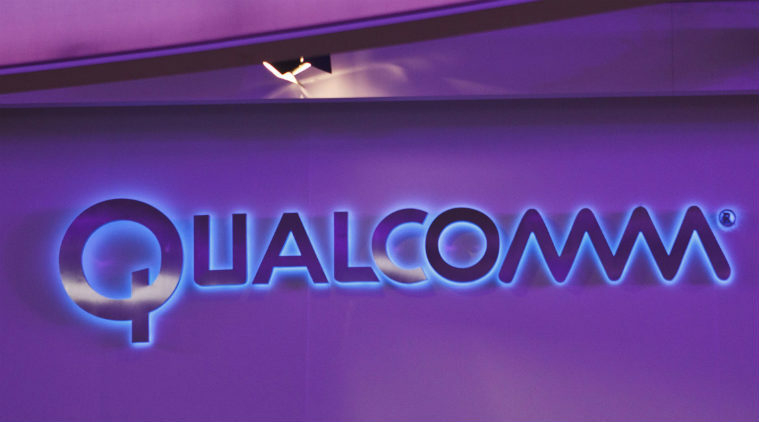 Qualcomm Incorporated (NASDAQ: QCOM) through its subsidiary, Qualcomm Technologies, Inc., today announced the Qualcomm® Vision Intelligence Platform, featuring the Company's first family of system-on-chips (SoCs) purpose-built for the Internet of Things (IoT) using advanced 10nm FinFET process technology. The QCS605 and QCS603 SoCs are engineered to deliver powerful computing for on-device camera processing and machine learning, with exceptional power and thermal efficiency, across a wide range of IoT applications. The SoCs integrate Qualcomm Technologies' most advanced image signal processor (ISP) to date and the Qualcomm® Artificial Intelligence (AI) Engine, along with a heterogeneous compute architecture including a cutting-edge ARM-based multicore CPU, vector processor and GPU. The Vision Intelligence Platform also includes Qualcomm Technologies' advanced camera processing software, machine learning and computer vision software development kits (SDKs), as well as proven Qualcomm Technologies' connectivity and security technologies. The platform is optimized to support exciting new possibilities for industrial and consumer smart security cameras, sports cameras, wearable cameras, virtual reality (VR) 360 and 180 cameras, robotics, smart displays, and more. KEDACOM and Ricoh THETA are planning to develop products based on the Qualcomm Vision Intelligence Platform. "Our goal is to make IoT devices significantly smarter as we help customers bring powerful on-device intelligence, camera processing and security. AI is already enabling cameras with object detection, tracking, classification and facial recognition, robots that avoid obstacles autonomously, and action cameras that learn and generate a video summary of your latest adventure, but this is really just the beginning," said Joseph Bousaba, vice president, product management, Qualcomm Technologies, Inc. "The Qualcomm Vision Intelligence Platform is the culmination of years of advanced research and development that brings together breakthrough advancements in camera, on-device AI and heterogeneous computing. The platform is a premier launchpad for manufacturers and developers to create a new world of intelligent IoT devices." The Vision Intelligence Platform integrates the Qualcomm AI Engine which is comprised of several hardware and software components integrated to accelerate on-device AI. The Qualcomm AI Engine includes the Qualcomm® Snapdragon™ Neural Processing Engine (NPE) software framework which includes analysis, optimization, and debugging tools for developments using Tensorflow, Caffe and Caffe2 frameworks, Open Neural Network Exchange interchange format, as well as Android Neural Networks API and Qualcomm® Hexagon™ Neural Network library – all of which are designed to allow developers and OEMs to easily port trained networks into the platform. With the Qualcomm AI Engine and Snapdragon NPE software framework, the Vision Intelligence Platform delivers up to 2.1 TOPS* of compute performance for deep neural network inferences, more than double compared to specifications of some of the leading alternative solutions. The Vision Intelligence Platform supports up to 4K video resolution at 60 frames per second (fps), or 5.7K at 30 fps, as well as multiple concurrent video streams at lower resolutions. For extraordinary image quality, the platform integrates the most powerful camera processor ever-created by Qualcomm Technologies, a dual 14-bit Qualcomm Spectra™ 270 ISP supporting dual 16 megapixels sensors – the evolution of premium ISP capabilities that consistently tops DxOMark benchmarks over the last several generations. In addition, the Vision Intelligence Platform includes advanced vision processing capabilities necessary for IoT segments such as staggered HDR to prevent the "ghost" effect in high-dynamic range video, advanced electronic image stabilization, de-warp, de-noise, chromatic aberration correction, and motion compensated temporal filters in hardware. The Vision Intelligence Platform's QCS605 heterogeneous computing architecture features eight Qualcomm® Kryo™ 360 CPU cores, the Qualcomm® Adreno™ 615 GPU and Hexagon 685 Vector Processor. The Vision Intelligence Platform's integrated display processor provides for a range of display options up to WQHD resolution touch display with hardware accelerated composition, 3D overlays, and support for the major graphics APIs including OpenGL, OpenCL, and Vulkan. The architecture supports various high level operating systems – engineered to allow developers and manufacturers to easily build differentiating features into their solutions such as on-device stitching for VR 360 cameras, autonomous robot navigation and obstacle avoidance, and video summarization for action cameras. The Vision Intelligence Platform supports up to 2x2 802.11ac Wi-Fi® with MU-MIMO and dual band simultaneous transmission, Bluetooth® 5.1, Qualcomm® 3D Audio Suite, Qualcomm Aqstic™ Audio Technologies and Qualcomm® aptX™ Audio. The platform also features Qualcomm® Noise and Echo Cancellation, as well as advanced on-device audio analytics and processing features to support natural language processing, audio speech recognition, and "barge-in" capability for a reliable voice interface even in loud or noisy environments or when users are far from the device. The platform's hardware-based security is designed to help support trustworthy IoT devices with features such as secure boot from hardware root of trust, trusted execution environment, hardware crypto engines, storage security, debug security with lifecycle control, key provisioning and wireless protocol security. To accelerate development and further differentiate products, manufacturers can rely on an ecosystem of technology providers offering solutions that are complementary to the Vision Intelligence Platform. These include AI providers such as SenseTime for face, image and object recognition, Pilot.ai for a variety of vision tasks such as detection, classification, and tracking of actions and objects, and MM Solutions for cutting-edge image quality tuning services. The Qualcomm® QCS605 and QCS603 are sampling now, with multiple SKUs designed to meet a variety of technical and cost effectiveness requirements. QCS605-based VR 360 camera reference designs from Qualcomm Technologies and Altek Corporation, a leading original design manufacturer for cameras, are available today, and QCS603-based industrial security camera reference designs are expected to be available in the second half of 2018. For more information, details and specifications please visit https://www.qualcomm.com/products/qualcomm-vision-intelligence-platform.